Happy Friday my friends! Here's to another great week in photos! 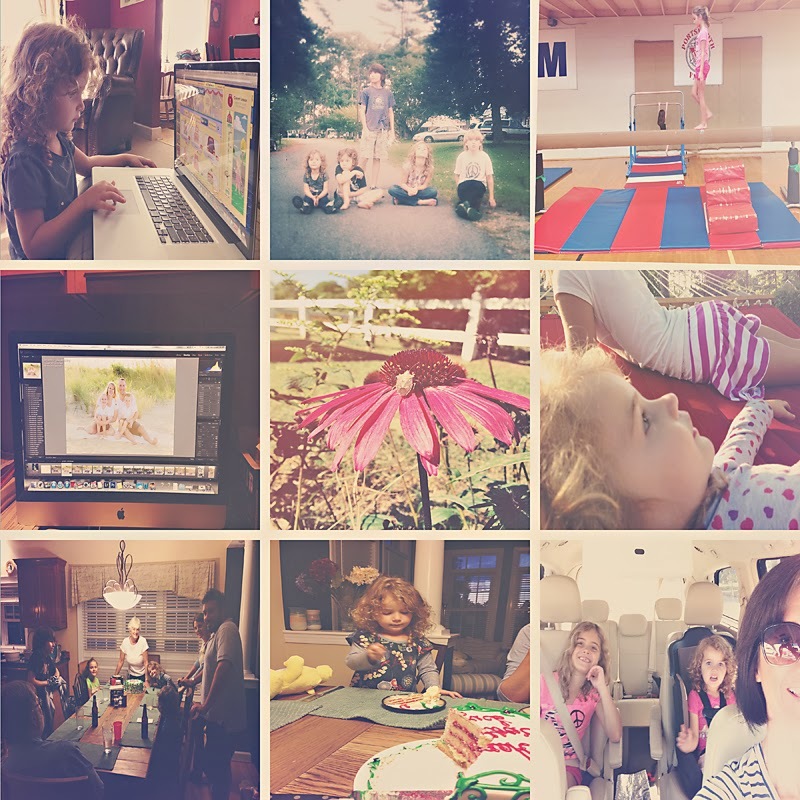 We had a busy week of homeschooling, computer malfunctions, car repairs, a neighborhood fire (minor incident, but major excitement for the kids), birthday celebrations, Girl Scout meetings, errand running, and fall foliage gazing. oh you all look like you still have some warm weather there! Although today we finally were back up to 70 degrees! I always love seeing your week my friend- hope you can catch up this weekend. Busy busy! Glad the neighborhood fire was minor!! Whew what a busy week, don't know how you do all that AND home school - you rock! Such a sweet capture of your daughters realxing on the hammonck - and your brave gymnast on the bar / boom! That does sound like a busy week.